The Commissioning ceremony of new submarine is a tradition-laden event for the United States Navy. 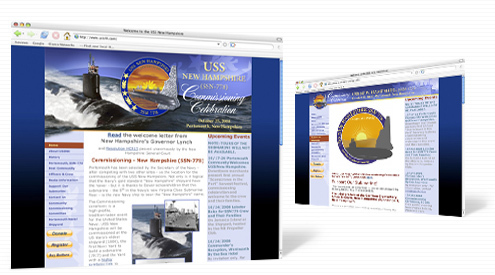 The USS New Hampshire will be commissioned at the US Navy's oldest shipyard (1800), the first Navy Yard to build a submarine (1917) and also the home of Savvy Software - Portsmouth, NH. Savvy was pleased to donate design and software for this momentous occasion. Check out the site for more information.